Known as carbon activation, the conversion of carbon dioxide and methane into useful compounds like fuels or polymers has long been a goal of the chemical industry. Both compounds are in ready supply, and both are potent greenhouse gases contributing to climate change — methane having a far more potent greenhouse potential than CO2 — but both are extremely stable and therefore difficult to persuade to react without using high temperatures and pressures — themselves difficult to achieve without using more energy. Methane activation could replace wasteful flaring in oil extraction, converting the gas into useful liquid products. The Liverpool team, led by electrical engineer Xin Tu, has devised a process that converts a mixture of methane and CO2 to acetic acid in a single step. Taking place at room temperature and atmospheric pressure, the process involves a non-thermal plasma — an electrically-charged gas mixture — to use the methane as a source of hydrogen. In a paper in the journal Angewandte Chemie, the team says that this reaction is almost impossible to achieve by heating the gas mixture, even using a catalyst, because the thermodynamic barrier is so high. In a non-thermal plasma, the gas temperature remains low but electrons are highly energetic. The team devised a plasma reactor, consisting of two concentric glass tubes, the inner of which was lined with a stainless steel electrode; the space between the two tubes was filled with water which served two purposes — acting as a ground electrode and removing heat from the system as the mixture of methane and CO2 was pumped through the inner cylinder and a voltage applied to the steel electrode to create the electrical discharge to generate a plasma, which flowed through a platinum, gold or copper catalyst, supported on pellets of porous aluminium oxide material which was packed into the inner tube. An advantage of plasma systems is that they can easily be scaled up, and are easier than thermal processes to start up and shut down, as they reach a steady state quickly and have fast reaction rates. This means that they use less energy than thermal processes, and can potentially be powered by renewable sources like solar or wind, with the compounds formed acting effectively as a type of chemical energy storage. “This is a major breakthrough technology that has great potential to deliver a step-change in future methane activation, CO2 conversion and utilisation and chemical energy storage, which is also of huge relevance to the energy & chemical industry and could help to tackle the challenges of global warming and greenhouse gas effect,” Tu said. 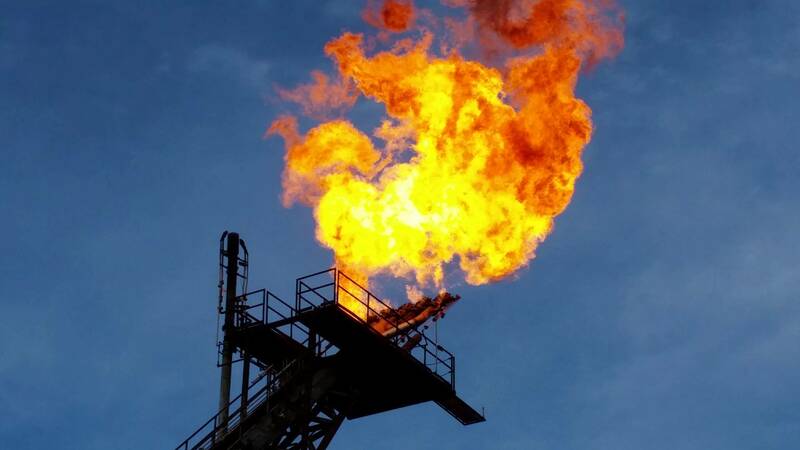 One particular application could be to replace the flaring of excess methane from oil wells, instead converting the methane into useful liquid fuels or chemical that can be easily stored or transported. Appears a great idea and I hope it can be scaled up as claimed. My concern is catalyst poisoning owing to the ionic discharge. Truly, the natural gas would have to be scrubbed (most likely) to remove any H2S upstream. The alternative is that a cold plasma may behave differently to sulfur compounds than would a thermal process. Tunability of this process has yet to be explored in depth, it appears, but would be most interesting if other chemical intermediates can be thusly produced.